Voice-over translation is an alternative to dubbing translation. Voice-over translation is used instead of dubbing translation when the deadline or budget are slightly tighter. We will deliver high quality voice-over translation fast and cost-effectively! Contact us with your personal request. We will get back to you within two hours. We cast our voice-over artists by considering your preferences and your media content specifics. The result is perfectly polished translation and tailor-made voice-over solution. We delve into your material and deliver quality voice-over translation solutions. 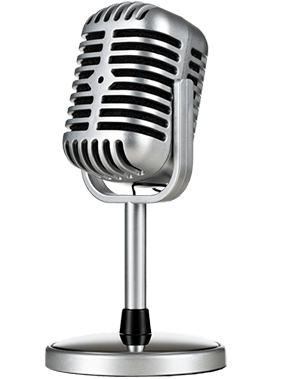 We take care to create authentic voice-over for your audio or video content. Our voice-over translation services are cost-effective and time-saving. We take every effort to spare your resources. Describe your request and needs for voice-over. Do not forget to mention the target languages for voice-over translation project. We analyse the target audience and your media content. We choose best actors and plan the translation. We will ask more questions. We will set a timeframe and provide a quote. We will start as soon as you have approved the offer! We will contract the best cast needed to ensure 100% success. We will translate and create the audio track. Around 90% of our customers are regulars. So do not be surprised if you feel the urge to work with us again! Visual Media provides top-quality synchronised revoicing (voice-over) for any type of audio-visual content in a wide range of languages. Contact us for more information or get to know us better! Get started with your voice-over project today.